Both the Congress and Bharatiya Janata Party (BJP) on Monday organised events in Uttar Pradesh as part of their campaigns ahead of the Lok Sabha elections. While Priyanka Gandhi Vadra, Jyotiraditya Scindia and Rahul Gandhi were in the state's capital, Lucknow, Prime Minister Narendra Modi was in Vrindavan. 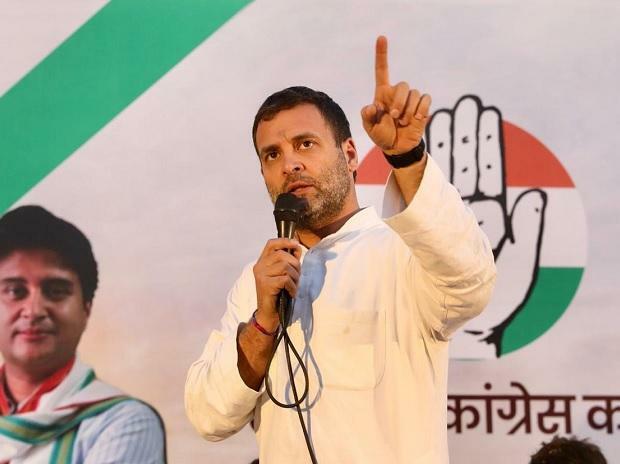 During a roadshow in Lucknow that marked his sister Priyanka's first public event after being appointed as national general secretary with charge of eastern Uttar Pradesh, Congress President Rahul Gandhi on Monday said he has told her and Scindia, who has been made general secretary for western UP, that their mandate is to bring a government in the state that will ensure justice for all. "Their aim is definitely the Lok Sabha elections, but also to bring a Congress government here," he said. Meanwhile, Prime Minister Modi on Monday served food to school children in Vrindavan, including the third billionth meal by the Akshaya Patra Foundation at the Vrindavan Chandrodaya Mandir campus. Modi also unveiled a ceremonial plaque to mark the serving of "third billionth meal" by Akshaya Patra Foundation. Uttar Pradesh Chief Minister Yogi Adityanath, local MP Hema Malini, Uttar Pradesh Cabinet Ministers Shrikant Sharma, Lamxi Narayan Chaudhary and Anupama Jaiswal were also present at the event.